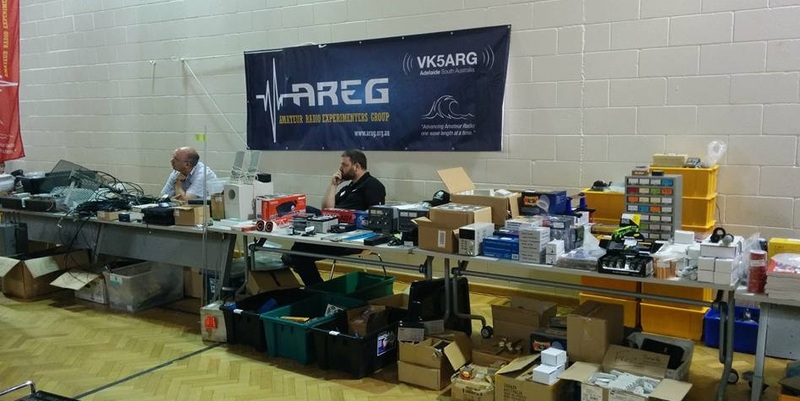 Well the AHARS buy-n-sell has been and gone and AREG again manned some tables. This year thanks goes to Ben VK5BB, Andy VK5AKH, Chris VK5CP and Matt VK5ZM who flew the club colours! We were placed on the Western wall, right alongside Aztronics. The banner and one red flag were put out so you certainly did not miss that the AREG were there. General attendance by members was good too and it was great to see the AREG shirts making an appearance! This entry was posted in Club Activities by VK5GR. Bookmark the permalink.